Don't do it HTC - it's not time! What's this, another one for the oversized smartphone bandwagon? But before HTC jumps headfirst into the over-hyped and badly named "phablet" market, perhaps it should take a minute to read this. In theory, a handset with a seriously huge display is great. Samsung, ZTE, Huawei and LG are all churning these things out - but that doesn't mean this is the right direction for HTC. HTC has already got a hero handset, and it should be fixing all its attention there. The HTC One is only the third phone ever to win a five star review on TechRadar. This is the mobile to get the Taiwanese firm back to the top. So why launch a monstrously huge handset which will undoubtedly overshadow the HTC One - especially when the One needs its full share of the limelight? 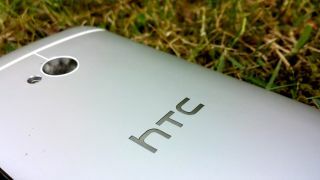 Launching the much rumoured HTC T6 will only distract consumers from the flagship phone. And while the HTC One has seen decent sales, it hasn't reached Samsung Galaxy S4 levels of 10 million in less than a month. HTC has no reason for complacency. It's worth noting that the HTC One isn't exactly a small handset anyway, with a more than serviceable 4.7-inch full HD display. Does anyone really need any more than this from a smartphone? A 5.5-inch Samsung Galaxy Note 2 or 6.1-inch Huawei Ascend Mate might sound tempting, but get one of these porkers in your palm and you'll see what I mean when I say it's just too much. I'd probably recommend the HTC One to anyone trying to decide between it and a bigger option. That, coupled with the Note 2's dominance, means that there's very little reason to believe the T6 has a market at all. If HTC is looking for a big win in the mobile market without cannibalising the the sales of its flagship, it needs to start by thinking smaller. The mid and low-end regions of the industry are overflowing with various Android and Windows Phone devices, but if HTC can bring what it's learned from the One to smaller, more affordable handsets it could be onto a winner. Currently there's no standout phone in either the budget or mid-tier arenas and if HTC can nail both, the payoff could be huge - even huger than an ungainly phablet screen. HTC has history in the lower levels of the mobile world. I loved the One S when it launched last year - it was the perfect example of a mid-range smartphone - although the likes of the One V, Desire X and Desire C were less of a draw. HTC needs to concentrate on building a solid range of three or four handsets which span the main price points in the market. Only when it's cemented a respectable position across all tiers should it look at pushing the mobile boundaries. The T6 won't ruin HTC, but it won't help either. The One deserves to be the king of mobiles, so why hide it behind another ridiculous lump of a phablet? Smartphones are continuing to grow and there doesn't seem to be an end in sight. We ask "just how big can they get?"